How big are the drawings? Do I get the original artwork or a print of the original? All products in the shop are prints, but every commission is an original! I am interested in a commission. How does it work? 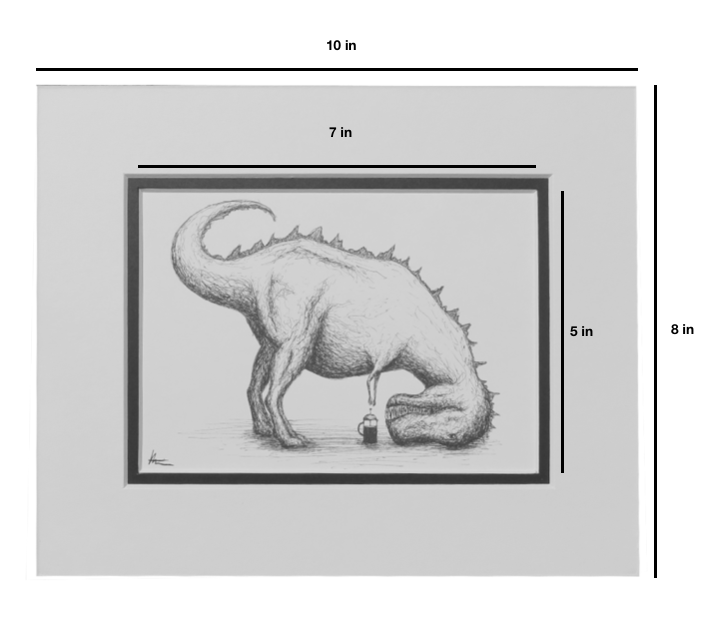 Fill out a contact form with the size and description of the illustration you would like. Pay 50% of the cost. I will send a final sketch for approval before using ink. After the illustration is finished, the second 50% is due. Receive your illustration in the mail and hang it where you like!